For years people of LaVergne have been asking for retail. We want to be able to shop for clothes, shoes, and other items in our own city. With all due respect to our neighbors next door, we are tired of giving our sales tax revenue to Smyrna, Murfreesboro, and Nashville. First there were rumors. We had been hearing that a new Walmart was going on Sam Ridley Parkway. There was the rumor that Nissan bought the Walmart on Enon Springs Rd. We heard one alderman say that Walmart wouldn’t come to LaVergne because of sinkholes! So amid all the rumors and speculation, we were very pleased by today’s official announcement from the city. Walmart is officially coming to LaVergne! What welcome news!! 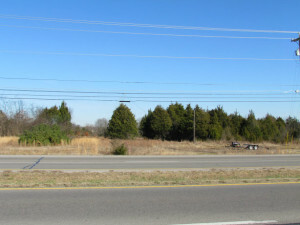 The new store would be built near the corner of Murfreesboro and Fergus roads, and city officials say it would add about 400 new jobs to the community. “We started showing the retailers we mean business. We wanted them here and I think they finally saw that we have 35,000 people here who have nowhere to shop and we kept emphasizing that and it paid off,” said La Vergne Mayor Senna Mosley. This is exactly the reason why Walmart chose to build a new store in La Vergne, said Erica Jones, senior manager of communications for Walmart. Again I suggest you get over yourself. Many of these comments on the news sites and Facebook are not even from LaVergne. For people who do live in our city, why would you be begging for retail for years and then complain when we finally get it? Because it’s in your own backyard? You do realize there will be a huge buffer zone in Heritage Valley Park, right? And no matter where a store would locate, someone somewhere will be affected. Are you upset because you might have to leave your house five minutes earlier each day? I think those few minutes are a fair price to pay for the anticipated sales tax revenue we will finally gain from this store. As far as Mom and Pop stores go, Walmart is not a liquidation store. Walmart does not do bicycle repairs. The cosmetic store will have a very loyal clientele already. Other Mom & Pops? Anyone? Anyone? That’s the point. THERE ARE NONE to close!! That argument is invalid! Another comment I have read are people talking about the city paying subsidies to build the store. What? Perhaps there may be some things the city will provide, but (and this is big so pay attention) that is what IMPACT FEES pay for. And who pays the impact fees? Walmart. The only organization able to negotiate subsidies for a business (usually industrial) are the Chamber of Commerce and the County Industrial Board – neither of which were apparently involved in this. So no. No subsidies coming out of the city. In my opinion, it boils down to what a friend of mine said earlier. You give some people a bar of gold and they’re going to complain that it’s not shiny enough. That said, WELCOME WALMART! We are mighty glad you’re coming! "Big Retail Making Its Way to LaVergne", 5 out of 5 based on 1 ratings. I agree, Welcome WalMart, and I also hope we start to garner other retail outlets and top shelf restaurants like Chili’s, Longhorn, Outback, Red Lobster and/or maybe some new brands that might draw outside from Smyrna and Murfreesboro that they don’t have. Just a thought! Jess, it doesn’t look like you’re going to have to worry about traffic OR WalMart being a problem. The announcement was made about 7 months ago and there has been NO construction on the site. I think it’ll all fall through. I also think this story was reposted as a political ad for the present mayor of LaVergne, since this IS the time to go to the polls. When will the new Walmart be opening ?